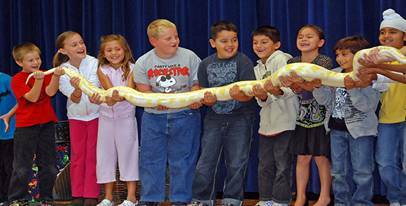 E&M’s Reptile Family provides a very unique, fun, and highly educational one-hour program. We arrive with an exciting and diverse menagerie of living Arthropods (creepy-crawlies), Amphibians, who are never sad and always hoppy, and Reptiles, featuring snakes, lizards, turtles and tortoises. Our show is very hands-on and tons of fun! We share our message of respect toward all living things by replacing fear with respect and fallacies with fact. Education nurtures conservation! During our one-hour presentation we will visit many continents. With help from our animal friends, and everyone’s imagination, we will be able to see these wonderful animals and their native habitats. We have parties and presentations for every occasion, Birthdays, Schools (Classroom and Assemblies), Libraries, Company Events, Family Gatherings, Daycares, Summer Camps, etc. Our prices are very affordable so call or email today for pricing information. We are insured, dependable, and know how to have a great time while being safe. 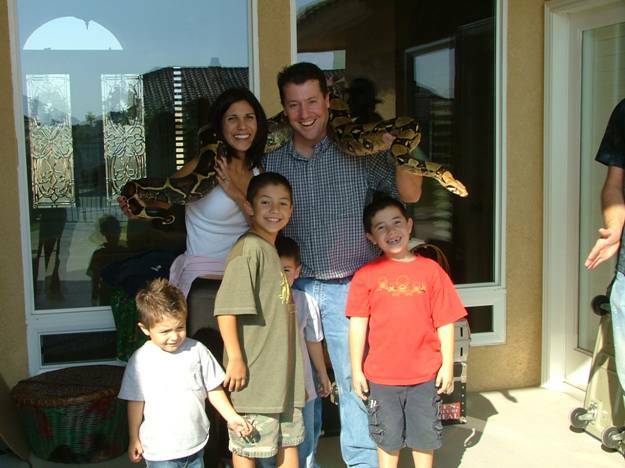 So give E&M’s Reptile Family a call today and book an adventure you will never forget! We love coming to parties of all sorts. At our birthday events the birthday person is up with us as the ‘star’ of the show! They will be able to touch and hold all of the animals we bring. During the show we bring up lots of volunteers, so everyone will get to partake in the fun! We also bring most of our animals around for both kids and adults to touch and experience. For those who like to stay in our ‘safety zone’ we let them know up front that looking is always okay! 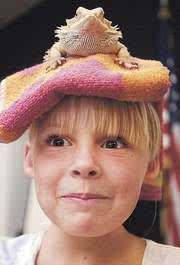 We start out with some of our smaller family members and work everyone’s cold-blooded courage up before we bring out our LARGER reptiles. All of our animal friends here at E&M’s Reptile Family cannot wait to come and see you, your family, and friends! Focusing on specific habitats like the rain forest, desert areas or even local landscapes. Focusing on a specific group of animals like reptiles, amphibians, or arthropods (invertebrates). In addition, we can meet many other standards such as Geography, Art, Math, and English. Let us know what your needs are and we will make learning fun and exciting. Check out our Teachers Corner page for more cool information on how we fit into state and national standards, and our Downloads page to obtain lots of great and FREE classroom handouts. We perform at the libraries throughout Tulare and Kings County, Fresno County, Kern County, Madera County, and Merced County. Of course we would also love to come to any other library you have in mind as well! These shows are free to the public and are a great way for you to get to know us and for us to get to you and your community. They also provide a great opportunity to bond with your kids and support your local library! Check out our facebook page at www.facebook.com/emreptilefamilyllc or your local branch to find out when we will be performing in your area. Talk to your local library about having us come out as well! We make an excellent addition to any camp program! 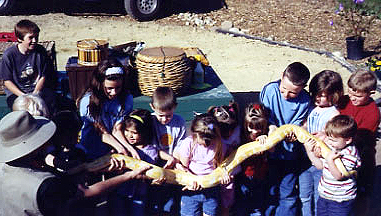 Whether you are just a one week camp, or run all summer long, E&M’s Reptile Family makes camp life fun. What better way to learn about nature than bringing in LIVE animals for everyone to experience. We can even custom tailor the event to fit into your camp theme or programming!